AFI is a certified floor covering Inspection Company providing investigation and analysis of floor covering problems and failures. We offer consulting, inspections and testing for the following floor coverings: Carpet, Hardwood, Pre-Finished Engineered Flooring, Vinyl Sheet Goods, Laminate Flooring, Ceramic Tile and Stone and Moisture Vapor Emissions Testing of Concrete. 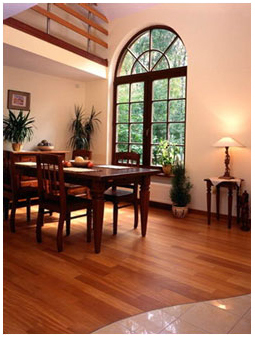 We specialize in providing answers and solutions for numerous floor covering related problems. We are able to provide answers to your questions due to our specialized education and training. An inspector becomes certified upon meeting stringent requirements, which include industry experience, participating in a required training program and passing a rigorous test. Kevin M. Schleweis, President of Advanced Flooring Inspections is a certified inspector. He has many years of industry experience beyond that required for certification and continues to improve his education through Continuing Education Classes (CEC), research, attending industry seminars and reading trade journals. If you have been unsuccessful at getting your floor-covering problem resolved, contact AFI and discover a new level of professionalism and unbiased analysis not previously experienced. AFI can provide the answer(s) to your floor covering inspection, analysis and consulting needs. Copyright © 2001 - 2007 Advanced Flooring Inspections, LLC. All Rights Reserved.